Saffron Substitute – What to Use ? Making a big paella at home and suddenly release you are all out of saffron? Fear not there are a few replacements that you can use a saffron substitute. Having to purchase an entire spice bottle for a single recipe is mildly frustrating but imagine having to do that for saffron, the world’s most expensive spice by weight. If your recipe calls for saffron but you are looking for a way to avoid cashing out on it or you simply don’t want to make a run to grocery store, you, unfortunately, may have to sacrifice a little flavor as saffron has a very distinct taste. But what would you expect for one of the most expensive spices in the world? A few spices, however, may be suitable as a saffron substitute and can hopefully mimic the flavor well enough that it is barely noticeable, if at all. Additionally, people like to combine spices to more accurately match the flavor of saffron so you may be especially in luck if you have the spices to create your own concoction. Turmeric is one of the more notable substitutes for saffron and is frequently used by shady spice merchants as a fake saffron; however, chances are that you don’t have to worry about that. When comparing the two spices, most might say that saffron is “earthier,” meaning that turmeric may not work as well for select dishes. Typically, you are advised to be gentle with your turmeric and, to avoid ruining your dish, reduce the amount of turmeric you add. Others like to combine ¼ tsp of turmeric with ½ tsp of paprika or something similar, which is intended to satisfy the flavor and color provided by saffron for a more accurate saffron replacement. Some people approve of safflower as a sufficient saffron substitute and others do not. Despite the similar sounding names, these two spices come from completely different sources and safflower may not be nearly as flavorful as saffron. For that reason, many people don’t suggest using it, though it can be an accurate color match. While cardamom won’t come anywhere near the color of saffron, the flavor provided by cardamom can be somewhat similar to that of saffron. Sometimes called the poor man’s saffron, annatto has frequently been used as a saffron replacement, though adding it to the dish isn’t always so easy. If you can’t find annatto extract in a bottle, you may have to create the extract yourself by boiling the annatto in water and using the liquid for your recipe, which is not very ideal. If you ask any professional chef or someone who has cooked with saffron before, he or she will probably tell you to buckle down and buy actual saffron due to how difficult it can be to match the flavor. Perhaps you may be able to borrow a bit of saffron from a neighbor instead of buying an entire container but if you are really in a pinch, you may be able to get away with one of the substitutes listed above as long as you pay attention to amounts and don’t overload a recipe. 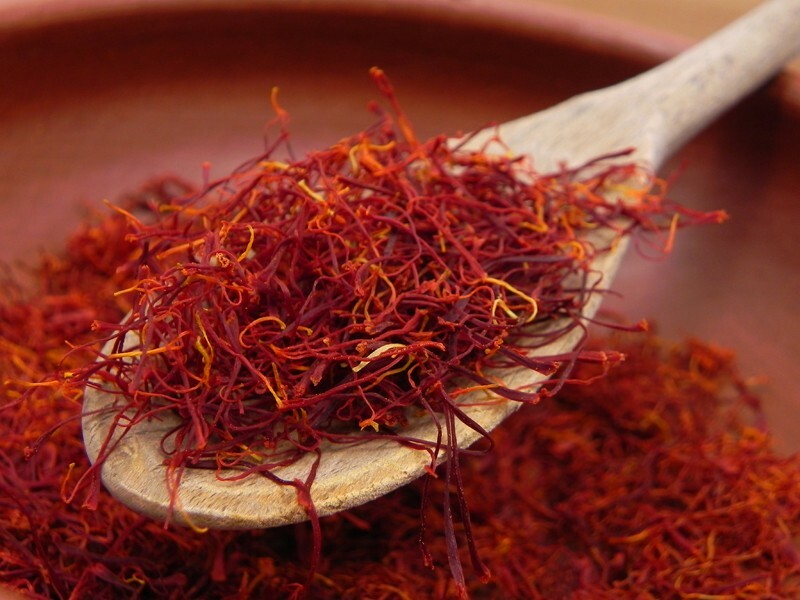 Saffron is a spice that is thought to originate in Kashmir. It is obtained by collecting the stigmas and styles(or threads) from the flower of the Crocus Sativus plant. « Turmeric Substitute – What to Use ?